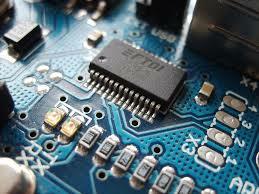 Electronics Engineering is quite a popular branch among the IIT aspirers. If you have knack for analysis, manufacturing and designing of electronic items, then you should go for pursuing electronic engineering from the IITs. In the year 2013, among the 16 IITs only 4 ISM and IIT, Dhanbad offered this course in India. In fact, out of the 9,867 seats available for the aspiring candidates, only 464 were reserved for Electronics Engineering candidates. Thus, it accounts for 4 percent of the total available seats. From this, one can easily understood that taking admission to this course can be quite competitive. Electronic plays a very important role in enhancing the level of efficiency of productivity in some of the major industries, including agriculture, energy, chemical, petroleum and others. So, no matter whether you are working in the infrastructure sector or telecom sector, as an Electronics Engineering you always have a good career scope.In fact, this is known for being the best growing field in engineering. Candidates choosing this field as the path of their career can expect high remuneration and lot of work opportunities in the way. Some of the common job profiles for students passing Electronics Engineering are workshop manager, chief engineers, verification engineer, operations manager, test and development engineer, etc. According to the results of the JEE Main 2014 which was declared on the 2nd of May along with the cut-off marks for JEE Advanced 2014, students who manage to score 115 or more than that are considered as qualified for the JEE Advanced 2014 under the Common Merit List. In comparison to JEE Advanced held on 2013, the cut-off marks has increased by 2 points. The cut-off marks for the candidates belonging to the OBC section is 74. Again, for ST and SC category students, the cut-off marks are 47 and 53 respectively.The ranking and cut off for electronics engineering seatscan give you a detail insight about a number of factors that are involved in the procedure of admission. According the JEE Main 2014 results, more than 1, 50,000 aspirants have been selected for the JEE Advanced 2014 conducted on the 25th of May. JEE Main can be said as the pass for getting admission to one of the prestigious and popular ISM and IITs, Dhanbad.In comparison to the previous year, the candidate numbers have reduced by more than 1 lakh this year. According to the JEE Main conducting body, the percentage of student appearing this year for the JEE Main has reduced by a certain extent. The survey shows the total fall of 8 percent.Browse online to know more about IIT - electronics engineering.